If you are a driver in Daphne or Fairhope shopping for a high-performance luxury SUV, take a look at the Porsche Cayenne at Porsche Mobile. With our Porsche lease deals on hand, you can take home this high-end model for a great price–browse our specials below then schedule a test drive when you find what you want! Black/Mojave Beige w/Leather Seat Trim w/Two-Tone Leather Interior, 10 Speakers, 14-Way Power Seats w/Memory Package, 4-Wheel Disc Brakes, 4-Zone Climate Control, 8-Way Power Seats, ABS brakes, Adaptive Air Suspension w/PASM, Adaptive Cruise Control, Adaptive suspension, AM/FM radio: SiriusXM, Ambient Lighting, Automatic temperature control, Automatically Dimming Mirrors, BOSE Surround Sound System, Comfort Access, Electronic Stability Control, Emergency communication system, Exterior Parking Camera Rear, Front dual zone A/C, Front fog lights, Front Seat Ventilation, Fully automatic headlights, Garage door transmitter: HomeLink, Heated door mirrors, Heated Front Seats, Heated Rear Seats, Illuminated entry, Knee airbag, Lane Change Assist (LCA), LED-Matrix Headlights w/PDLS+, Low tire pressure warning, Navigation System, Overhead airbag, Power door mirrors, Power Liftgate, Power moonroof: Panoramic, Power passenger seat, Power windows, Premium Plus Package, Rain sensing wipers, Rear fog lights, Remote keyless entry, Roof Rails in High Gloss Black, Security system, Speed control, Sport Chrono Package, Steering wheel mounted audio controls, Traction control, Wheels: 20" Cayenne Design, Window Trim in High-Gloss Black. White 2019 Porsche Cayenne S AWD 8-Speed Automatic with Tiptronic 2.9L V6 Trust. Commitment. Excellence. Come experience the all-new Gulf Coast Auto Group with new ownership and new management! Black w/Partial Leather Seat Trim, 14-Way Power Seats w/Memory Package, 4-Wheel Disc Brakes, 4-Zone Climate Control, 8-Way Power Seats, ABS brakes, Adaptive Air Suspension w/PASM, Adaptive Cruise Control, Adaptive suspension, AM/FM radio: SiriusXM, Ambient Lighting, Automatically Dimming Mirrors, BOSE Surround Sound System, Comfort Access, Electronic Stability Control, Emergency communication system, Exterior Parking Camera Rear, Front dual zone A/C, Front fog lights, Front Seat Ventilation, Fully automatic headlights, Garage door transmitter: HomeLink, Head-Up Display, Heated Front Seats, Heated Rear Seats, Illuminated entry, Knee airbag, Lane Change Assist (LCA), LED-Matrix Headlights w/PDLS+, Navigation System, Overhead airbag, Partial Leather Seat Trim, Porsche Communication Management, Power Liftgate, Power moonroof: Panoramic, Power passenger seat, Premium Plus Package, Rain sensing wipers, Rear Axle Steering, Rear fog lights, Rear window defroster, Remote keyless entry, Seat Belts in Chalk, Security system, Speed-sensing steering, Sport Chrono Package, Steering wheel mounted audio controls, Towing Package w/o Hitch Ball, Wheels: 21" Cayenne Exclusive Design. Moonlight Blue Metallic 2019 Porsche Cayenne S AWD 8-Speed Automatic with Tiptronic 2.9L V6 Trust. Commitment. Excellence. Come experience the all-new Gulf Coast Auto Group with new ownership and new management! Recent Arrival! Black Leather. White 2019 Porsche Cayenne Base AWD 8-Speed Automatic with Tiptronic 3.0L V6 Trust. Commitment. Excellence. Come experience the all-new Gulf Coast Auto Group with new ownership and new management! Black/Mojave Beige w/Leather Seat Trim w/Two-Tone Leather Interior, 10 Speakers, 14-Way Power Seats w/Memory Package, 4-Zone Climate Control, ABS brakes, Adaptive Cruise Control, Adaptive suspension, AM/FM radio: SiriusXM, Ambient Lighting, Automatic temperature control, Automatically Dimming Mirrors, BOSE Surround Sound System, Comfort Access, DVD-Audio, Electronic Stability Control, Emergency communication system, Exterior Parking Camera Rear, Front dual zone A/C, Front fog lights, Front Seat Ventilation, Fully automatic headlights, Garage door transmitter: HomeLink, Heated door mirrors, Heated Front Seats, Heated Rear Seats, Illuminated entry, Knee airbag, Lane Change Assist (LCA), LED-Matrix Headlights w/PDLS+, Low tire pressure warning, Navigation System, Occupant sensing airbag, Overhead airbag, Panoramic Roof System, Porsche Communication Management, Power driver seat, Power Liftgate, Power Steering Plus, Power Sunblinds for Rear Side Windows, Premium Plus Package, Rain sensing wipers, Remote keyless entry, Security system, Tinted LED Taillights, Towing Package w/o Hitch Ball, Traction control, Wheels: 20" Cayenne Design. Quartzite Metallic 2019 Porsche Cayenne AWD 8-Speed Automatic with Tiptronic 3.0L V6 Trust. Commitment. Excellence. Come experience the all-new Gulf Coast Auto Group with new ownership and new management! Why Choose a Porsche Cayenne? If you still aren’t sure if the Porsche Cayenne is the right luxury SUV for you, learn more by comparing the Porsche Cayenne vs. Porsche Macan! Or even see how it stands up to competitors like the BMW X5. 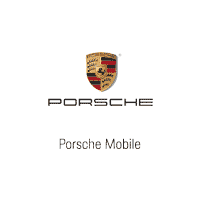 When you are ready to lease a new Porsche in Mobile, visit our Finance Center to go over your options. Our staff is ready to help you take home your dream car.